In 1975, a group of Harthill men met to be part of the entertainment for a village function. This group learned the basic rudiments of the Morris. 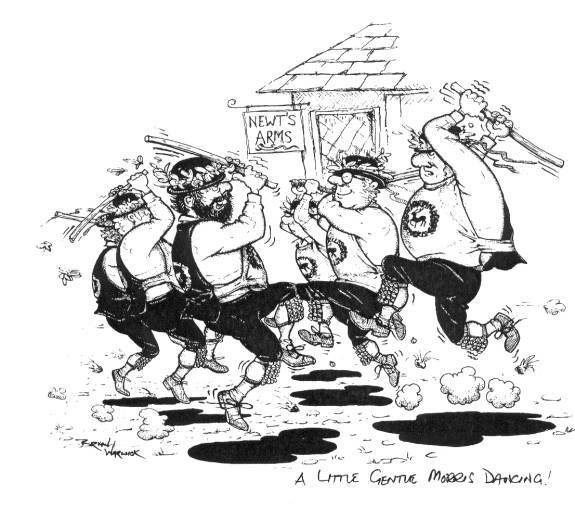 The response stimulated the formation of the Harthill Morris in 1976. 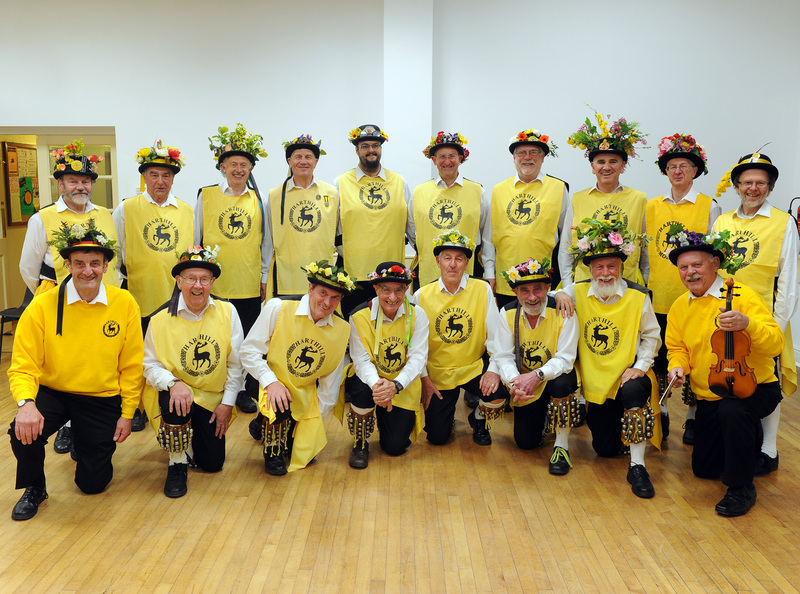 The group continued to flourish and in 1981 were accepted into the Morris Ring. During the 1980’s, the side had the honour of dancing before the Queen in Worksop and also the Prince & Princess of Wales in Chesterfield, when performing Opening Ceremonies. The Harthill Morris have performed their dances in Southern Spain, Scotland and around many of the counties in England. On summer Thursdays, they visit surrounding hostelries, giving displays of the Morris. These evenings often end with a community sing-song session and a pint! The side proudly supports village events in Harthill by dancing at the annual Well Dressings and Carnival in July. They have a firmly established tradition of dancing outside both of the village pubs on Boxing Day, when they are joined by the Three Shires Ladies Clog team who are also Harthill based. The Harthill Morris also attend festivals, galas, carnivals and weddings for a negotiable fee. This income, along with our collections and sponsorships, helps to offset club expenses including costumes and instruments. Between September and April the team meets on Thursdays from 8.00pm in Harthill Village Hall to practice. Afterwards they retire to The Beehive Inn, the ‘home’ of the Harthill Morris, to enjoy a refreshing pint or two! On the Thursdays between Remembrance Day and Christmas, they join in with the traditional singing of the South Yorkshire local carols. Also around Christmas and the New Year some members perform the T’owd Tup, a traditional mining custom from the local area.